Tired of designing that beautiful and functional spaceplane only to find that adding a science lab turns it into a beached Whale? Better Science Labs is here to help! BSL features up to six new labs fully integrated into the tech tree and balanced against the Stock Lab with tech tree placement and build costs. 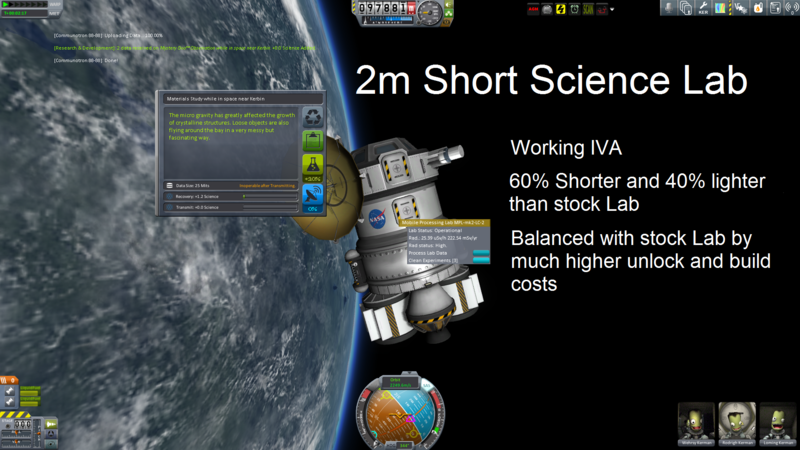 Labs include functioning IVA and together offer far greater design flexibility than the stock lab could ever hope for. 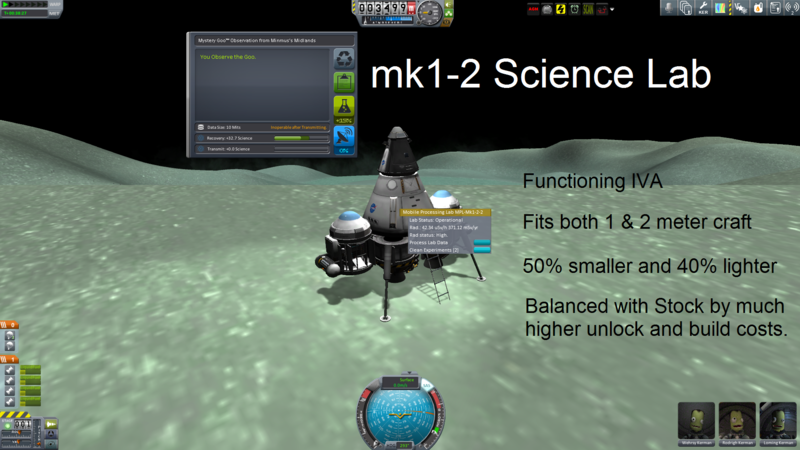 Whether your mission is a simple Munar Landing or a Grand Tour of the Kerbol system Better Science Labs will help you make it a success - For Science! 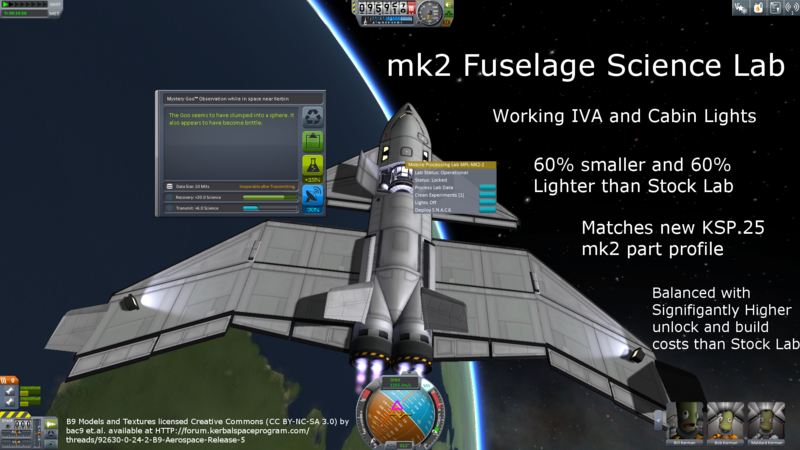 mk2 Spaceplane Fuselage, mk1-2, 2m, and 2m short Lab configurations included in base download, with 2 additional lab configurations that require HGR and Firespitter mods installed to function. S.N.A.C.K. science experiment available in all labs. 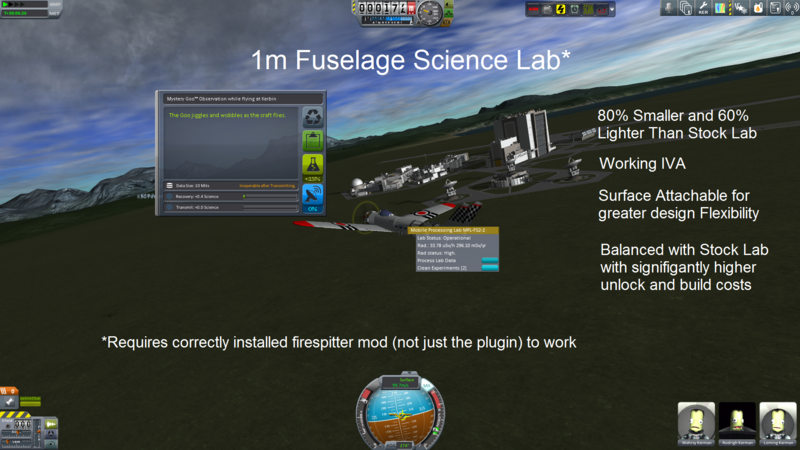 This is a very "Kerbalised" version of the NASA "Microgravity effects on human physiology" experiments. S.N.A.C.K. 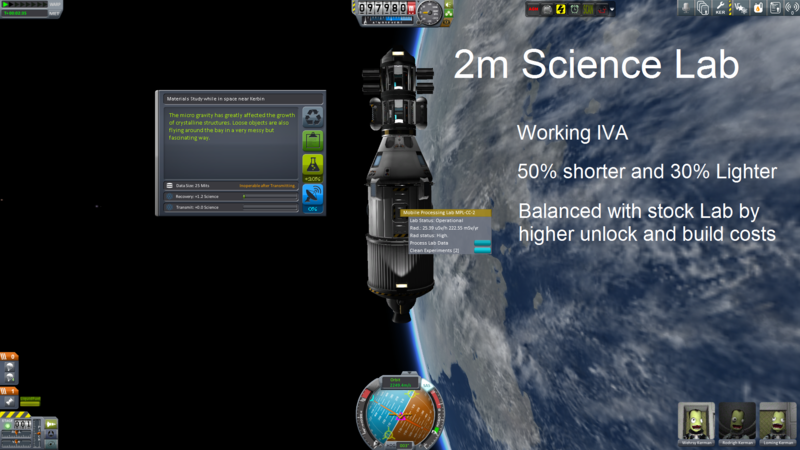 offers over 2 dozen new and unique science results, but you have to return to Kerbin to collect the science. S.N.A.C.K. retrieval probe core. 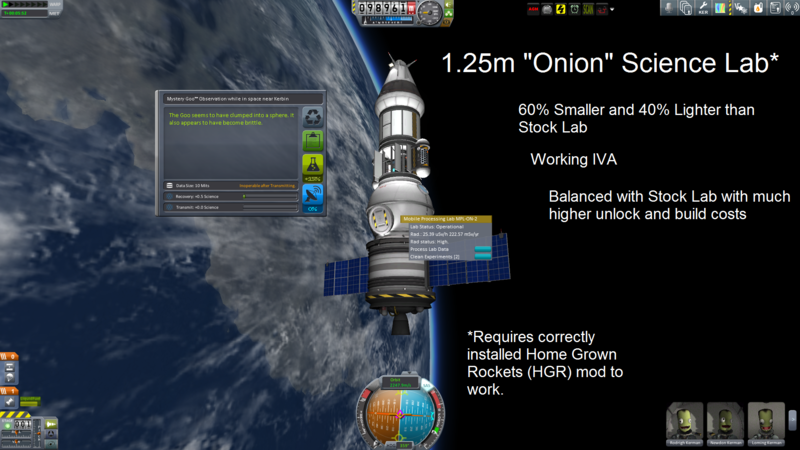 This allows the return of S.N.A.C.K.ing "results" to Kerbin if you are leaving your science research vessel in space. It is also capable of snack resupply missions if you have KAS installed. Thanks for downloading Better Science Labs Continued!